Training your back muscles effectively can be one of the hardest things to achieve. Not helped by the fact that it’s difficult to train what you can’t see behind you, it’s often your biceps, forearms and grip that giveaway long before your back does. It’s hard for most to develop the correct movement and mind-muscle connection to feel anything going on. Because of this your lats, middle and lower traps and rhomboids don’t get the attention they deserve. We can talk all day about the importance of training your back, but you already know this. You probably also know that you should be thinking about pulling and rowing with your elbow, rather than pulling directly at the grip. This makes your back training much more efficient shoulder-friendly. Providing external coaching cues like “punch your elbow to the floor” or “elbow the guy behind you” work well, alongside more internal cues like trying to focus on a muscle working. Palpating a specific muscle during an exercise is a great option too, when appropriate. There are however tools we can use to reinforce the external cue, while providing more internal feedback. In simple terms, do these and your elbows will move better, and your back muscles will be on fire! 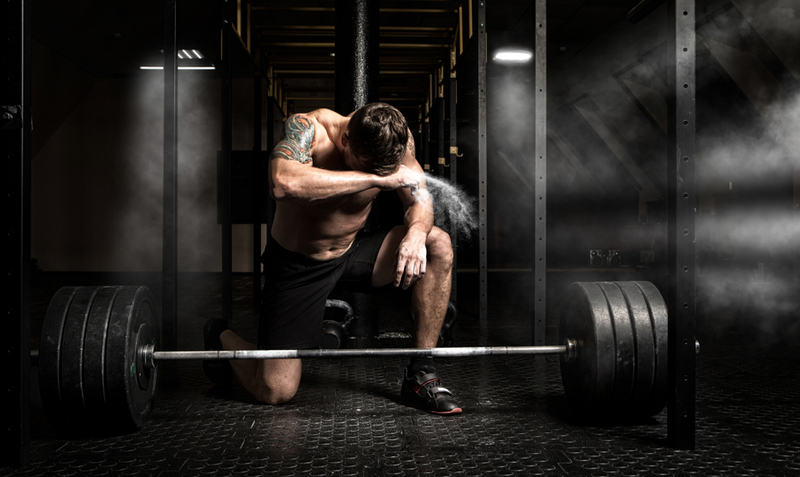 There are a few ways you could utilize “grip-less” training. The simple idea is that with a little exercise creativity you can bypass a certain joint (wrist or elbow) and almost eliminate the muscles that produce movement at that joint. Eliminate the wrists and you take out the wrist flexors and extensors in the forearm, and you can better target the elbow flexors and extensors. Eliminate the elbows and you take out the elbow flexors and extensors in the upper arm, and you can better target the muscles that produce movement around the shoulders. One of the most effective ways you can put this idea in to action is by eliminating the elbow flexors, and in turn better target your back muscles. A thick band resting on the elbows works great, but as does an abdominal sling (that piece of kit everyone uses for hanging knee raises). A heavy strength band grips to the skin nicely although might not be suitable for massively heavy loads. You’ll probably also require a larger carabiner than most gyms have, to attach a thick band to the cables. An abdominal sling might be more suitable for if you have thicker elbows or are shifting a lot of weight on the cables. Although, they’re often a little too short to provide enough range of motion in pulling movements. You’ll find the range of motion with these moves are shorter anyway, otherwise the heavy band or sling slips off. But this works well to emphasise the end contraction though. Depending on equipment availability too, just experiment with what works best for you and how it feels. The position of the band or sling can also be good to teach leading with the elbow during a pull, so when it’s not used training can be enhanced indirectly by it. 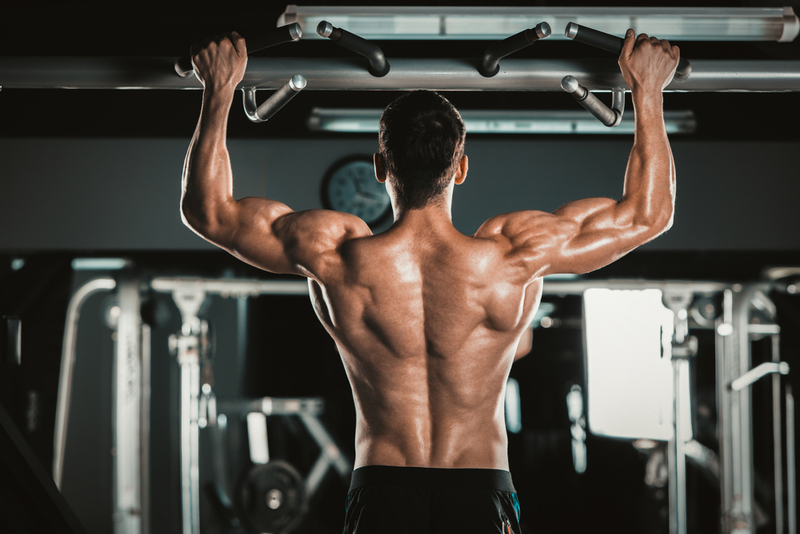 This training “hack” is no replacement for heavy rows and pulls, but can be a valuable addition to your training if you struggle with feeling your back muscles activate during a set. Do sets of 15-25 reps to start. The lats are the largest muscle in the upper body, and responsible for several movements including shoulder extension and adduction. Pulldowns, pull-ups and straight-arm pulldowns are great for targeting them, but the grip, forearms and elbow extensors can hold you back. Of note, the lats enjoy going through a large range of motion and respond well to the mechanical tension produced by a full loaded stretch. This isn’t achievable with grip-less training and one of the reasons why it’s better combined with movements that do emphasise this stretch. Appropriately named “Lat Stretchers” for example. 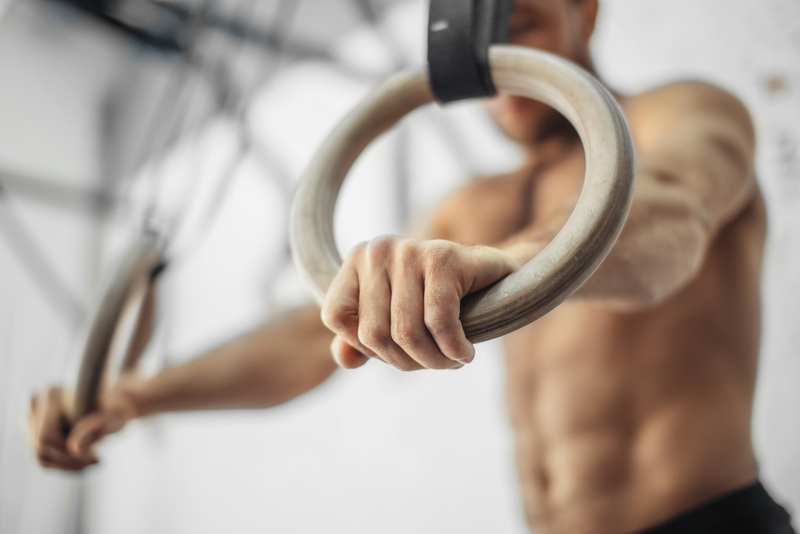 Grip-less training will however help load the lats greater in the second-half of the movement as you pull towards your chest, sternum or hip. Throw a few sets of these pulldowns in at the start or finish of your workout for some extra lats growth. Grip-less at the elbows work okay for straight-arm pulldowns, although just above the wrists feel a little better. Biceps aren’t an issue here anyway, so at the wrist is enough to take out the grip and forearms. The free movement and rotation of the grip also helps with maximum lat engagement. The traps do many things, and can be separated in to distinct parts of the muscle that have different functions. The upper traps don’t have the same problem as the lower and middle portions, as with the upper traps there are many movements that effectively avoid using the elbow flexors. Shrugs being one of them. The lower and middle traps whose function are to bring the scapula back and down (retraction, depression, downward rotation) are a little harder to tap in to though. It’s all fine knowing how the scapula should be moving during seated rows and the like, but if you’re not feeling your mid or lower traps working hard because your biceps and forearms are giving up first, then you’re missing out. Try a few sets of these moves to fire up your middle and lower traps. The rhomboids (major and minor) are largely responsible for scapula retraction. They tend to be hit a little harder when the elbows are encouraged to flare out during row movements. For example, a seated cable row with a wide grip, or an elbows-out dumbbell row. We can emphasise this same wide elbow position with a cable row, performed using the grip-less technique. The same rules hold true for many of the movements above, in that the pulling angle can be changed according to what you’re trying to achieve. Here’s just one way you can smoke those rhomboids. This will also do a great job of hitting your posterior delts as a bonus. As already mentioned, heavy rows and pulls should form the cornerstone of your back training program. The grip-less technique should be used as a supplementary tool to further target an area you feel is lacking development. Because of this you should verge on the higher-end of the hypertrophy rep range, around 15-25 reps per set should work well. Isolation exercises can be great too, for additional emphasis, however with the grip-less technique you’ll benefit from performing an exercise that more closely resembles a traditional multi-joint movement. Because of this when the band or ab sling is taken away, there’s a better transfer to the ‘real’ movement, better use of the elbow, and overall better back workouts. Feel free to experiment with this novel training technique and let me know how it feels.